Settlement are done weekly. Loads picked up Monday through Sunday night midnight, are paid out on Friday if all required paperwork has been submitted. We don't have the long hold back period that so many other trucking companies have. What is the sign on bonus? Expedite Division—$500 straight trucks, $500 tractor trailer. Half is paid out after 90 days of good service with the second half paid out after 180 days of good service. How is fuel tax (IFTA) handled? Our contract provides that we will compile, file and deduct fuel tax expense from our owner operators. However, Load One has paid this as a bonus to our owner operators since inception. Does Load One charge for trailer usage? No, our modern fleet of trailers is provided at no cost to the owner operators. Lots! We have driver shower facilities, a free truck wash bay, owner operator parking, free Wi-Fi, web tools, and discount programs to name a few. We also have the Load One Gold Reward program for all of our drivers and owner operators. We have been an industry leader in the driver reward area! We place a much greater emphasis on retention then recruiting! What is Load One’s escrow? Tractors are $1000, Straight Trucks $750, and Vans are $500. Escrow is deducted evenly over 10 settlements. Does Load One provide a fuel card? Yes, we have a Fleet One card available with no transaction fees and a great discount savings program. Can I get my insurance through Load One? Yes, Load One offers non-trucking liability (bobtail), physical damage and occupational accident insurance through settlement deduction. Liability and cargo insurance are provided by Load One at no cost to the owner operator. Can I own multiple trucks? 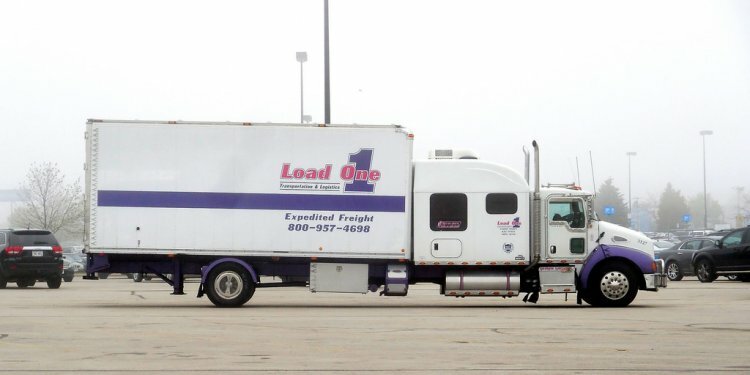 Yes, Load One enjoys working with successful professional fleet owners. Will you inspect my truck? Yes, Load One maintenance must inspect and approve your unit BEFORE signing on with the company. Will I have a dedicated dispatcher with whom I will be working with every day? You will have a dedicated team of driver managers that you will work with on a daily basis. What is the age limit of an owner operator truck? While we prefer our units to be 7 years or newer, we will consider older units based on condition. Does Load One have forced dispatch? NO. Of course your business will be more profitable with more loads, but we will never force you to take a load. How often am I going to have to load/unload freight by hand? Load One has an average of over 99% no touch freight. Does Load One provide safety equipment? While we do not provide safety equipment we do stock a variety of equipment for you to purchase if needed. How long is orientation and am I required to attend? Yes, attendance at orientation is required. Orientation is held on Mondays of every week and generally lasts two days. How quickly can I be driving for Load One? After pre-qualification and orientation, providing that you have the necessary physical and drug screens are completed, you can be driving for Load One following orientation. Can I pull freight for other companies while leased on to Load One?